Strawberry Shortcake is one of our go to summer desserts because it is easy to make and the strawberries are always amazing this time of year. I love this idea for adding a little more color...at least a little more blue...to the angel food cake to make it even more patriotic for the 4th of July. 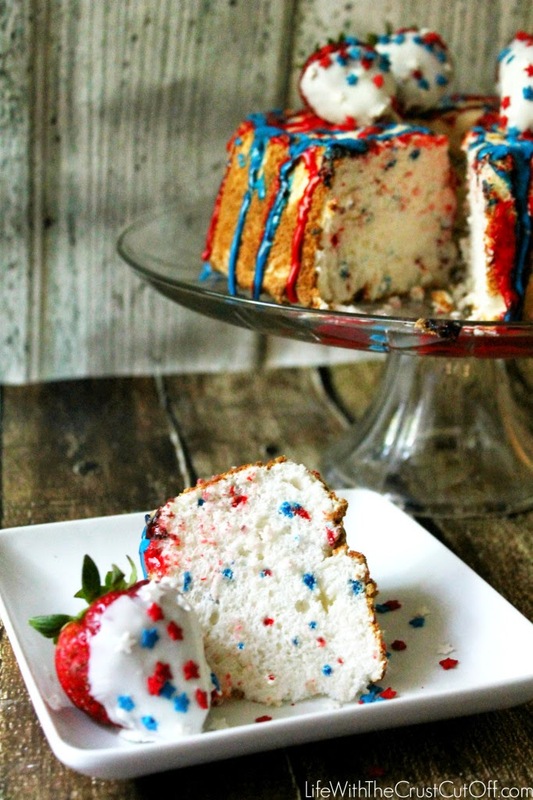 You can get the recipe for this funfetti 4th of July angel food cake over at Life With The Crust Cut Off. This looks amazing and perfect for the 4th! !